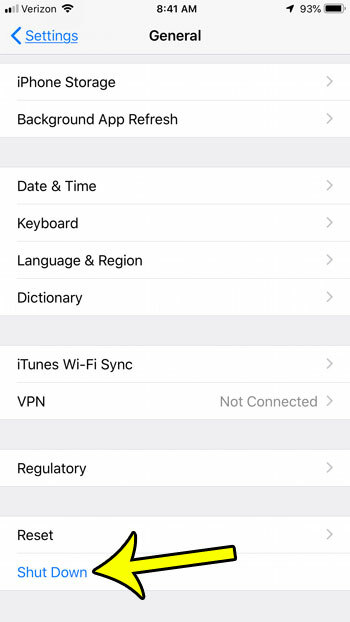 Home Apple iPhone How Can I Shut Down My iPhone from the Settings Menu? 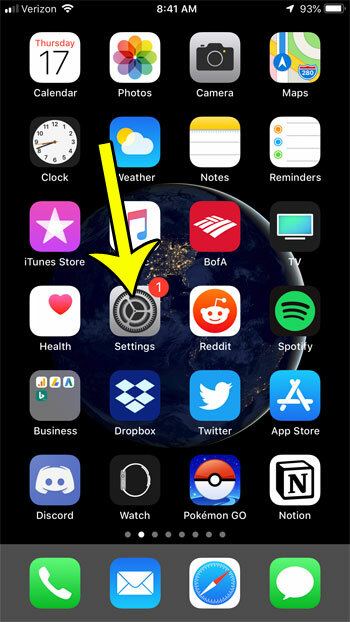 If you’ve been an iPhone user for a while, then you are probably accustomed to turning off your device by pressing and holding the Power button, then swiping the button that appears on screen. However, in recent versions of iOS, another option has been added. 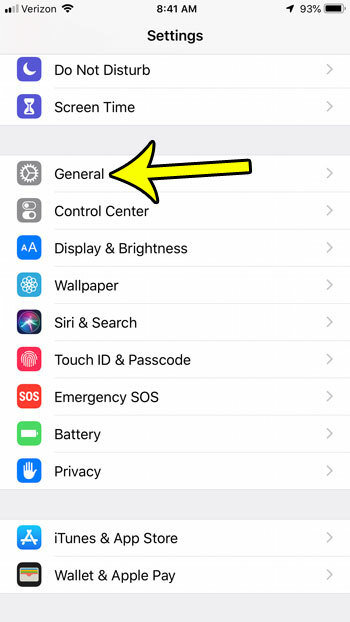 Our tutorial below will show you how to shut down your iPhone through the Settings menu instead if you find yourself in a situation where that is the better option for turning off your iPhone. The steps in this article were performed on an iPhone 7 Plus in iOS 12.1.2. Note that if you don’t see the Shut Down button that we identify in the steps below then you may be using an older version of iOS that does not have this option. Step 3: Scroll to the bottom of the menu and choose the Shut Down option. 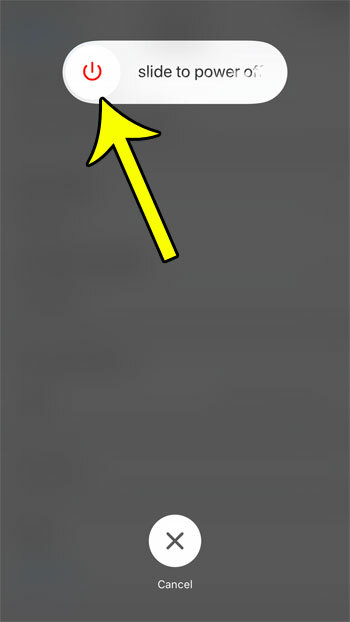 Step 4: Swipe the button to the right side of the screen to shut down the iPhone. Not sure what operating system version you have on your iPhone? Find out how to check an iPhone’s iOS version so that you will know whether or not you need to update to acquire a certain feature that you want or need.